Ruth Poger, 80, of Shelburne, Vt., died April 6 in Burlington, Vt.
Beginning in 1977, Poger was a founding member, editor, and later publisher of The Other Paper in South Burlington, Vt.
She was a member of the South Burlington (Vt.) Democratic City Committee, on which she eventually was chairwoman. She became active in the state Democratic Party, and was its executive director. She later was a Democratic national committeewoman. In 1974 and 1978, she was the first woman to chair a Vermont gubernatorial campaign, and in 1980 she directed the U.S. Census in Vermont. She leaves her husband, Sid; two daughters, Julia and Toby; two grandchildren; a brother. James F. “Jim” Berry, 88, of Hudson, Mass., died March 15 after a long period of failing health. He was employed in advertising sales for The Beacon of Acton, Mass., and the former Enterprise-Sun of Marlborough, Mass. He was the founder of the Marlborough City Post. Berry leaves his wife, Lorraine; three sons; Michael, Robert and Joseph; two daughters, Barbara and Elizabeth; 12 grandchildren; three great-grandchildren. 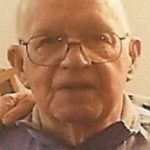 Gordon Andrews Glover, 93, of South Freeport, Maine, died April 11 at Bay Square in Yarmouth, Maine. He was a reporter and New England news chief for The Associated Press. He later owned a weekly newspaper, The Citizen of Morris County, based in Whippany, N.J., and was its editor and publisher. Glover was an editorial page editor for the New York Daily News. He also had been a speechwriter in Washington, D.C., for a U.S. senator. Gordon leaves four children, Susan, Margaret, Barbara and William; eight grandchildren, Alison, Chloe, Charles, Riley, Reed, Margaret, Sara Jane and Ginny; two great-grandchildren. Phyllis Baker Newton, 94, of Harwich, Mass., and Naples, Fla., died March 5 at Harbor Point in Centerville, Mass. During her several decades as a journalist, Newton was editor of the Needham (Mass.) Chronicle for about three years. She wrote a daily advice column under a pen name for the former Boston Herald Traveler. Newton’s byline also appeared in Time Magazine, The Sun of Lowell, Mass., the Newton (Mass.) Graphic, the Dedham (Mass.) Transcript, and The Patriot Ledger of Quincy, Mass. During her journalism career, Newton established a public relations business in 1947, marketing to schools, theaters and other businesses. She sold the business to a competitor after a few years. She leaves two sons, Gary and John; a daughter, Beth; six grandchildren; six great-grandchildren; a brother. Eugene Russell Donnelly Jr., 79, of Pepperell, Mass., died Feb. 19 at home. He leaves his wife, Helen; two sons; Benjamin and Nicholas; three granddaughters; a grandson; a brother. Daniel Hovey, 82, of Meriden, Conn., died April 16 in Meriden. Hovey was an editor of the Ipswich (Mass.) Chronicle before becoming editor at the Hamilton-Wenham (Mass.) Chronicle, and finally, city editor of the former Beverly Evening (Mass.) Times. He became director of press relations at Northeastern University in 1961, and four years later, founded and was director for four years of the Department of Public Information at the University of Hartford in Connecticut. Hovey leaves his wife, The Rev. Diane; a daughter, Heidi; a son, Elric; two stepsons, Zachary and Geoffrey; seven grandchildren; 13 great-grandchildren; two siblings; his former wife, Nanci. Peter Thomas Farrelly, Jr., 65, of Shelton, Conn., died April 6. Farrelly was a writer and editor during his career, and was employed with the Norwalk (Conn.) Hour and later the Fairfield County Catholic, based in Bridgeport, Conn., the Greenwich (Conn.) Time, and the Connecticut Post of Bridgeport. Farrelly leaves his wife, Mary Jo; four sons, Joseph, Sean, Kevin and Brian; a daughter, Heather; two brothers; three sisters. William L. Barschdorf, 84, of Pittsfield, Mass., died March 19 at Berkshire Medical Center in Pittsfield. His career began as a reporter-photographer at the Bennington (Vt.) Banner. He was later sports editor there. He was employed at the Banner from 1953 to 1956. He then went to the then-Springfield (Mass.) Union and covered the North Berkshire area of Massachusetts as bureau chief in 1956 and 1957. He later briefly joined the Northampton bureau before covering a variety of assignments on the Union’s city staff. He also was the Union’s business and industry editor and worked on its night city editor’s desk. Barschdorf became community relations and employee communication specialist at General Electric Co. in Pittsfield in 1966. During 26 years there, he received several corporate communication excellence awards, most of them as writer-editor of the GE News. He leaves his wife, Geralyn; two sons, Fred and William; two daughters, Nancy and Julie; 11 grandchildren; four great-grandchildren; a sister; a brother. Daniel Ambrose Neary Jr., 77, of East Montpelier, Vt., died March 9 in Berlin, Vt., from complications of Parkinson’s disease. Neary was a reporter for the Rutland (Vt.) Herald. He later was Associated Press bureau chief in Montpelier from 1968 to 1973. James W. Morrissey Jr., 85, of Quincy, Mass., died April 10 at Seasons Hospice Milton (Mass.) Inpatient Center after a long battle with Alzheimer’s disease. He was business editor for the former Malden (Mass.) Evening News. He leaves his wife, Arlene; three surrogate children, Jacob, Andrew and Joseph; three grandchildren; a brother. Mary Ellen (Monroe) Nihill, 89, died March 17 at Waterbury (Conn.) Hospital. She was employed as a copy editor for many years at the company that now publishes The Republican of Springfield, Mass., and its sister Sunday newspaper. She leaves two children, Michael and Joanne, and five grandchildren, Nicholas, Joey, Jamella, Yasin and Braheim. Dave Behrens, 84, of Manhattan died March 24 after a brief illness. Behrens began his career at the New Haven (Conn.) Register and later joined the Miami Herald. In 1968, he was hired as a reporter at Newsday. In 1970, he was assigned by Newsday to cover the women’s movement. Not long after joining Newsday, Behrens became part of “The Heroin Trail” coverage that won a Pulitzer Prize in 1974. He ultimately became a feature writer for Newsday, and retired in 2004. Behrens leaves his wife, Patricia. Terry Louise Cowles, 90, of Old Saybrook, Conn., and formerly of Westbrook, Conn., died Jan. 6. She was a cub reporter at the then-Framingham (Mass.) Daily News, a columnist at The Call of Woonsocket, R.I., and an editorial secretary at the New Yorker magazine. She also had been a script writer for then-radio station WAAB-AM in Worcester, Mass., and WTVL-TV in Waterville, Maine. Cowles leaves five nieces Priscilla, Marjorie, Nancy, Susan and Linda; a nephew, Vernon; two second cousins; many grandnieces, grandnephews, great-grandnieces, and great-grandnephews. Phyllis Jane (Freeman) Nissen, 71, of Wakefield, Mass., formerly of Reading, Mass., died March 13 in her home after a brief battle with cancer. She was a feature writer for the Reading (Mass.) Times Chronicle; Wakefield (Mass.) Times Chronicle; the Middlesex East supplement to those newspapers and others in the group whose flagship is the Daily Times Chronicle of Woburn, Mass. ; and other local newspapers. She wrote columns, including School Notes, about the local schools, and About the Towns, about activities in area communities. She leaves her husband, Stanley; four children, Misti, Melanie, Gregory and Courtney; eight grandchildren; a brother. Mary McCuin Coellner Barker, 94, of Exeter, N.H., died March 12 at home. Barker was a reporter for The Haverhill (Mass.) Gazette. She leaves five children, James, Nan, Mark, Mari and Roseann; 12 grandchildren; 14 great-grandchildren. Lois Irene Carlson Martin, 89, of Plymouth, Conn., died April 13 at Gardner Heights in Shelton, Conn.
Martin reported on Plymouth for the Bristol (Conn.) Press. She leaves two children, Natalie and Daniel; five grandchildren, Erika, Catherine, Andrew, Caitlin and Lindsay; a great-granddaughter; a sister. Richard Charles “Chuck” Robarts, 85, of Stamford, Conn., died March 25 at Stamford Hospital of complication from Parkinson’s disease. In 1956, he became a cub reporter for the Portland (Maine) Press Herald. He leaves his wife, Dee; two sons, Alexander and Andrew; three granddaughters; a brother. Wayne D. Lima, 63, of Lincoln, R.I., died unexpectedly April 6. Lima was a sports column writer at The Times of Pawtucket, R.I. He leaves his wife, Sharon; a daughter, Stacy. Robert Stanley Cwalinski, 81, formerly of Adams, Mass., died April 10 at North Adams (Mass.) Commons. Cwalinski was employed with The Republican of Springfield, Mass., for which his assignments included covering baseball Hall of Famers Ted Williams and Joe DiMaggio. He leaves two sons, Jeffrey and James; four granddaughters, Marianna, Faith, Joy and Nancy Rae; two sisters. John M. Noonan, 90, of Worcester, Mass., died April 15 in St. Vincent Hospital in Worcester. He was a pressman for 49 years with the Telegram & Gazette of Worcester. He leaves his wife, Linda; two sons, John and James; four daughters, Sheila, Patricia, Mary and Anne; 18 grandchildren; many great-grandchildren; two siblings. Paul Joseph Pilkington, 76, died April 10. Pilkington was a pressman for 40 years at the then-Providence (R.I.) Journal Bulletin. He leaves his wife, Margaret Mary; two daughters, Margaret and Catherine; two grandchildren; a brother. Rene R. Rousselle, 96, of Winooski, Vt., has died. Rousselle spent 38 years as a pressman and union member at The Burlington (Vt.) Free Press. He leaves a daughter, Susan; three grandchildren, JoyLee, JayDan and Donald; four great-grandchildren, five great-great-grandchildren; a sister. Charles K. Goff, 78, of Andover, Mass., died April 11 at Kaplan Hospice House in Danvers, Mass., after a lengthy illness. He was employed in the newspaper printing business, including with The Boston Globe and Boston Herald. He retired from the Herald. He leaves two children, Kenneth and Elaine; two grandsons, Gregory and Brian. Mary Lou Touart, 95, of Lexington, Mass., died Feb. 25 in her apartment in Lexington. She wrote the Scene and Heard column in the Lexington Minuteman for 15 years. She also had been an assistant fashion editor for Women’s Day Magazine, based in New York City. She was a member of Lexington’s Permanent Building Committee, served 11 years as a Lexington town meeting member, and was a publicist for several successful Lexington selectman candidates. She leaves three children, Ellen, Katherine and Douglas, and five grandchildren, Carlie, Erika, Anabel, Eliza and Susannah. Joyce Ann (Baker) Cassinari, 89, of Littleton, Mass., died April 13 at Life Care Center of Nashoba Valley in Littleton. Cassinari was the Littleton correspondent for The Sun of Lowell, Mass., for several years. Cassinari leaves three children, Richard, Lynne and Leslie, and seven grandchildren, Rebekah, Michael, Jacob, Hannah, Daniel, Julia and Jeffrey. Kathryn L. “Katy” Forry, 76, died April 17 in her home in Delaware after a battle with gallbladder cancer. She was a correspondent in Jaffrey and Rindge, N.H., for the Keene (N.H.) Sentinel. Forry ran as a Democrat unsuccessfully for a seat in the New Hampshire House of Representatives in 2006 and for governor of New Hampshire in 2008. She leaves her husband, David; two sons, Eric and Karl; three siblings. Helen Peterson, 92, died April 1 in Mansfield, Mass., after an illness. In 1954, she became a freelance writer for the Williamstown (Mass.) News. She also was a reporter for the Newark (N.J.) Evening News. Helen leaves two daughters, Jane and Lucy; a son, Matthew; a granddaughter, Laura. Lisa E. (Bullens) Madden, 63, of Spencer, Mass., died Feb. 25 in her home. Lisa was a newspaper distributor for the Telegram & Gazette of Worcester, Mass., for 27 years, and served 400-plus clients in Leicester, Oakham, Spencer and Barre, Mass. In December, she retired because of illness. Madden leaves her husband, Patrick; a son, Domenico; four daughters, Antoinette, Susan, Angela and Brittany; five grandchildren; a brother; a sister. Wendell H. Hawley, 97, died April 8 at Birchwood Rehab Facility in Burlington, Vt., after a brief illness. Wendell began his career in the circulation department at The Burlington Free Press. He leaves a daughter, Barbara; a son, Gary; two grandchildren, Lucas and Lindsay. 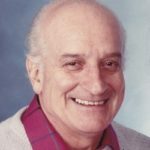 Roger F. LaFlamme, 88, of Southbridge, Mass., died March 11 at the Southbridge Rehabilitation and Healthcare Center after an illness. For 25 years, he delivered newspapers part time for the Southbridge Evening News. He leaves his wife, Rose; three children, James, Brenda and Cathy; five grandchildren; four great-grandchildren; a brother. Mary Lou Nason, 62, of Old Orchard Beach, Maine, died March 5 at the Gosnell Memorial Hospice House in Scarborough, Maine. She delivered the Portland (Maine) Press Herald in Old Orchard Beach for several years. She leaves four sons, Peter, Jerry, Dennis and Daniel; 13 grandchildren, Layne, Nicole, Makayla, Jerry III, Maria, Dylan, Brianna, Olivia, Elizabeth, Daniel Jr., Hannah, Autumn and Lila; two brothers; a sister. Barbara June Clarkson, 82, of Fitchburg, Mass., died March 10. In 1971, Clarkson joined the Sentinel & Enterprise of Fitchburg. She retired in January 2017 after working there for 31 years. Clarkson leaves six children, Linda, Teresa, Robert, Irene, William and Elizabeth; four stepchildren, Douglas, Vicki, Robert and Sandra; 23 grandchildren; 10 great-grandchildren; a sister; two brothers. Helen Didriksen, 77, of Nantucket, Mass., Southold, N.Y., and Little Gasparilla Island, Fla., and formerly of Riverside Conn., died March 27 on Nantucket. Didriksen was a reporter for a newspaper in Greenwich, Conn.
She leaves her husband, Philip, four children; Bradford, Michael, Stephen and Katherine; six grandchildren. The obituaries were written, at least in part, from published reports by Bulletin correspondents Ajoa Addae, Nadine El-Bawab, Felicia Deonarine, Angela Gomba, Nico Hall, Eliezer Meraz, Mohammed Razzaque, Casey Rochette and Thomas Ward, undergraduate students at Northeastern University.